Expectations are a dangerous thing. InSCAPE’s surreal 1995 The Dark Eye was originally released to mediocre reviews and frustrated gamers who didn’t know what to make of it. It’s so much easier to appreciate now, experiencing it not so much as an adventure game as an art installation – a thoughtful fever dream that stands as an utterly unique companion to the works of Edgar Allan Poe. It’s a game about exploring (and getting chills from doing so) rather than conquering. An eerie, empty mansion sets the stage for three of Poe’s stories to come to nightmarish life, each populated by stop-motion puppets with jerky movements, ornate clothing, and cold eyes of clay. The scenery is bleak and unwelcoming, and the situations you find yourself in are equally unnerving as you ask yourself: How do I make it through this story, knowing it doesn’t have a happy ending? The vignettes can be completed twice each as both victim and perpetrator, offering a disturbing dual perspective of the same tragic scenarios. Like the most compelling dreams, you can’t exactly trust where the game’s going, particularly if you aren’t familiar with Poe’s original works. Still, the accounts are beautifully told, the soundtrack by Thomas Dolby is richly atmospheric, and the voice acting is wonderful done (William S. Burroughs plays the house's owner, as well as providing readings of Poe's "Masque of the Red Death" and "Annabel Lee"). There are wonderful twists of narrative, portions where the standard first-person view is warped by visual oddities, and places where the standard interface is turned on its head to better serve the story. Much like the works of Edgar Allen Poe himself, the sum total is a collection of stunningly beautiful but frighteningly macabre tales. It certainly isn’t cohesive. It’s hardly even an adventure game. But for its ability to immerse you in the twisted, horrific visions of its esteemed author, The Dark Eye does just about everything right. 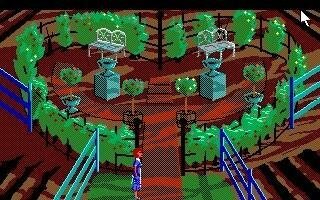 After reinventing the interactive fairy tale with King’s Quest, legendary designer Roberta Williams turned her attention to a new type of game with Sierra’s 1989 mystery adventure The Colonel’s Bequest. The story centers around 1920s-era Louisiana and young journalism student Laura Bow, who is invited by her flapper friend Lillian to visit her family’s plantation island – but all is not well when the Colonel’s will is read, and what starts as simple family bickering soon leads to murder. Of course, Lillian’s family is a cast of scoundrels and reprobates who cheat, lie, and steal, and thankfully reveal as much in conversations that can be spied on by the intrepid Laura. Like a classic Agatha Christie whodunit, one murder leads to another and discovering secrets becomes secondary to staying alive. The Colonel’s Bequest displays a remarkable commitment to its time period, as the art deco, flapper dialogue, and vintage wardrobes all show reverence to the Roaring ‘20s. Similarly, the deviant and nefarious behavior of the rogues’ plantation host is perfectly suited to this type of murder mystery, and Williams writes it with flair and enthusiasm. The game shows incredible attention to detail in trailing the actions of the characters, and even features remarkable replay value, as the ending gives you an indication of all the secrets you did not learn (which will be many on the first playthrough). Along with its slightly-less successful sequel, The Dagger of Amon Ra, this game established Laura Bow as an adventure heroine whose time came and went too quickly. Coming virtually out of nowhere from the aptly named (at the time) Unknown Identity, The Black Mirror became a cult hit when it arrived in 2003. With its grisly subject matter and relentlessly dark atmosphere, the game oozed tension and delivered plenty of perverse thrills, including your own death in disgusting fashion over and over again. It also ended with one of the most shocking finales of all time, which seemed to bring full closure to the saga of the Gordon family curse, though its surprise popularity ensured a pair of sequels would come nearly a decade later. Both are probably better, more polished games than the original, but for laying the bloody groundwork in such compelling fashion, the first will always be the most memorable. With its gorgeous pre-rendered backgrounds, The Black Mirror paints a vivid, if grim, picture of the Black Mirror manor and the quaint, slightly sinister English village of Willow Creek. The game chronicles the story of Samuel Gordon, a man haunted by an evil force that has attached itself to his ancestors and has now passed down to him. 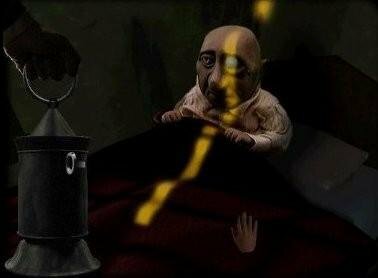 The tale takes time to build up the horror and insanity that Samuel must eventually confront, during which time you’ll spend a large amount of time hunting for inventory items and speaking with distinctive characters like the sleazy pawn shop owner and the strange doctor working in the town’s morgue. Its appeal is tainted somewhat by wooden voice acting and a protagonist that can rub people the wrong way, but even with all the rough edges, this game carved out an unforgettable legacy that kept people clamouring for more even years after its release. 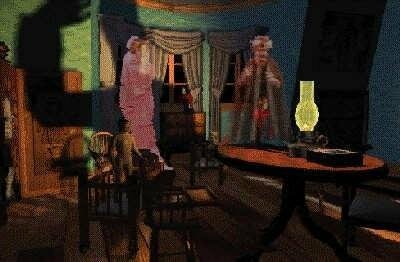 “Welcome to my… house.” In 1993, psychopathic toymaker Henry Stauf invited players to his creepy mansion for a night of intrigue, puzzle solving, and murder in Trilobyte’s The 7th Guest. A new type of adventure at the time, the game lacked an inventory, dialogue options, or even a visible player character; its gameplay was entirely comprised of standalone logic puzzles, brainteasers, chessboards, and mazes. 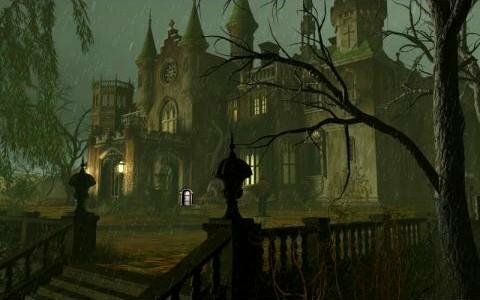 With one or two puzzles hidden in each of the mansion’s many rooms, the objective is simply to gradually gain access to the entire house and solve them all. Meanwhile, the grisly fates of Stauf’s other unfortunate dinner guests are revealed via full-motion video scenes that flicker in and out over the 3D environmental art. These days the graphics are passé, the acting beyond cheesy, and the puzzles very familiar—all factors that make The 7th Guest easy to dismiss. But compared to what was on the market at the time, it was a bold vision of the future of gaming, and its many innovations helped secure its spot here. As the first computer game to ship exclusively on CDs, The 7th Guest played an important part (along with Myst) in ushering in the rapid adoption of CD-ROM drives. Its groundbreaking use of live actors, at a time when few adventure games even had voice acting, also opened the floodgates for a torrent of FMV adventure games in the years that followed. And nearly two decades later, its puzzle-based format lives on in series like Professor Layton. Its own success may have been short-lived, but it left an indelible mark on the genre all the same. When Hero's Quest (later renamed Quest for Glory: So You Want To Be A Hero?) came out, its skillful blending of traditional adventure gameplay and RPG elements was, if not unprecedented, certainly original and refreshing in its presentation. 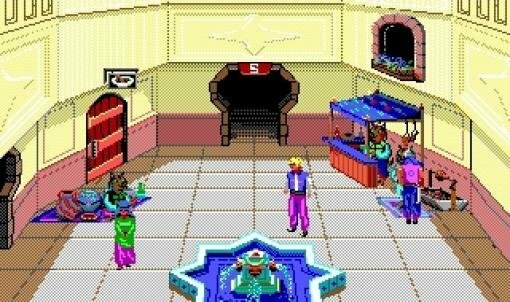 The second game in the series, Trial by Fire, took that formula and improved it in every single respect in 1990, starting with a setting and story that moved away from the usual fantasy tropes to embrace Arabian culture and mythology. This proved to be the right choice, because even decades after the game’s release, its backdrop inspires a distinct sense of wonder and discovery. Sierra also made refinements to the combat system to make it more responsive and challenging. But fret not: even if you don't like action in your adventures, the battles are almost always optional and the game is literally packed with other features any adventurer will enjoy. For starters, there’s the option to import your character from the previous game and see him continue to grow throughout the sequel, creating a sense of ongoing attachment few adventures have managed before or since. Dozens of little nods to the first title enhance this feeling of continuity, and by the end of the game your newly-crowned Prince of Shapeir will certainly have claimed a permanent spot in your adventurer's heart. This time around, each playable class (Fighter, Wizard and Thief) gets something special out of the adventure, whether the Wizards' Institute of Technocery, the Eternal Order of Fighters or even stealing the famous Maltese Falcon. And if that isn’t enough, there are tons of tough puzzles, optional activities that help shape your character the way you want, a cast of endearing characters, and a game world that feels vividly alive and coherent. When you add everything up, it’s not hard to see why Trial by Fire is a definite step up from its predecessor and a must-play for every would-be Hero.